In the wake of the Brexit vote and the resignation of Prime Minister David Cameron, it is not only the Conservative Party who are in disarray. British Opposition MPs held a vote of no-confidence in Labour leader Jeremy Corbyn today (Tuesday) - and the non-binding resolution passed by 172-40. However, Mr. Corbyn has said the ballot had "no constitutional legitimacy" and that he would not "betray" the members who voted for him by resigning. Corbyn was elected to lead the party less than a year ago with a landslide victory. However, he very quickly became one of the least popular Labour Party leaders with a very low personal approval rating. 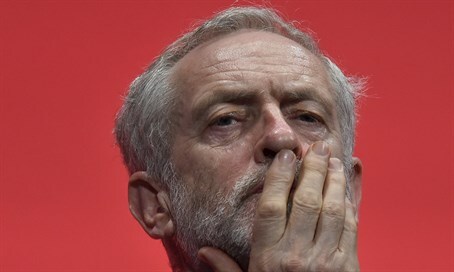 His leadership has seen a rise in anti-Semitism among Labour MPs and supporters, leading to Corbyn setting up an independent inquiry into anti-Semitism and the suspension of several party members. In the past, Corbyn has also called Israeli politicians "criminals" and has been praised by the terrorist organization Hamas. Corbyn was criticized this week by MPs for his half-hearted support for the "Remain" camp, with some accusing him of sabotaging the losing campaign. The latest crisis comes after Corbyn fired MP Hilary Benn from his shadow cabinet, leading to the resignation of more than 20 other shadow cabinet ministers including Jewish MP Luciana Berger.